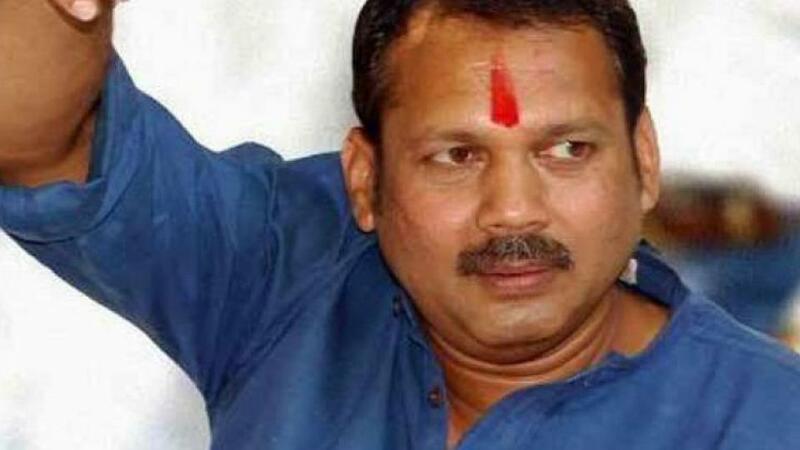 Pune: Satara MP Udayanraje Bhosale, who is a descendant of Chhatrapati Shivaji Maharaj, was arrested by the police in an extortion case after he surrendered at a police station in Satara on Tuesday morning. People are observing a bandh in Satara town and district to register their protest against his arrest. Rajkumar Jain, owner of Sona Alloys which has a manufacturing unit in Lonand industrial estate, has lodged an FIR that supporters of Udayanraje Bhosale demanded protection money from him. The Satara police had registered the case on March 22. Police officials said that nine accused have already been arrested in the case. However, Udyanraje was avoiding arrest since then and police were also not using force, fearing a law and order problem. The Satara court and the Mumbai High Court had rejected his anticipatory bail applications. He had two options i.e. either to appeal in the Supreme Court or surrender before police. After he surrendered, the police gave him VIP treatment and held a closed door meeting and later, he was formally arrested. The police were planning to take him to government hospital for medical check up before producing him in the court. However, a large number of his supporters had gathered outside the hospital. Following this, a medical team was called at the government rest house, where medical check up was completed. He was later taken to a Satara court which remanded him in magisterial custody remand (MCR). His lawyers applied for bail before the Satara sessions court and the court granted him bail. The police and Udyanraje have appealed for peace in the district. “The case is a political stunt to defame him. He belongs to a royal family and does not need Rs 2 lakh from anybody,” said one of Bhosale’s supporters Milind Gaikwad, President of Raje Pratishthan. Meanwhile, police bandobast has been deployed all over Satara district as several social organisations have warned against his arrest. The police have put up barricades at all sensitive points as a precautionary measure. Udayanraje is the 13th holder of the title of Chhatrapati which was founded by Chhatrapati Shivaji Maharaj on his coronation in 1674. He is the current claimant to the title of Chhatrapati of the former Satara state. Udayanraje has always been in controversies since he joined politics two decades ago. He also faced a murder trial, but was acquitted. In the 2009 parliamentary elections, he was elected to the Lok Sabha as a Nationalist Congress Party (NCP) candidate by a margin of three lakh (300,000) votes. Before that, he was a member of the Maharashtra Legislative Assembly and the Minister for Revenue of Maharashtra in the Shiv Sena-BJP government.